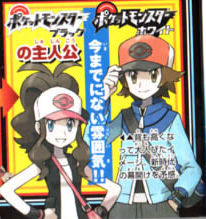 CoroCoro has revealed the Black and White Version starters!! 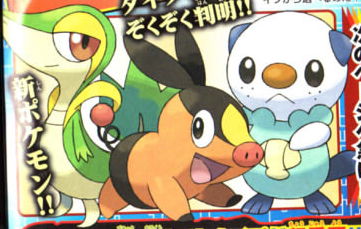 From left to right: Tsutajaa the Ivy Snake Pokemon is the Grass-type starter. 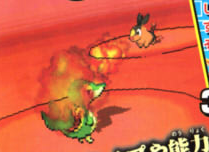 Pokabu, the Fire-type starter, is the Fire Pig Pokemon. The Sea Otter Pokemon Mijumaru is the Water-type starter. 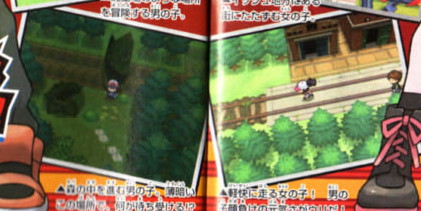 According to CoroCoro, Isshu is the name of the new region, and two of the new moves introduced will be Claw Sharpen, which boosts Attack and accuracy, and Trickery, the effects of which are unclear, but its damage depends on the opponent’s stats. 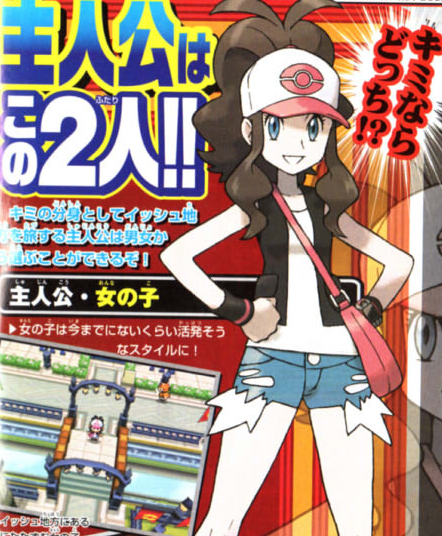 As well, if the Shiny Raikou, Entei, or Suicune is traded to Black or White, it will activate an event with a lv. 25 Zoroark available for capture! Turns out I was right about Zoroark possessing a kitsune-like Ability: Illusion allows it to take the appearance of the Pokemon it’s fighting – but the illusion can be broken at certain points during a battle. Whether this is similar to the move Transform or something completely different remains to be seen, but it sounds intriguing! 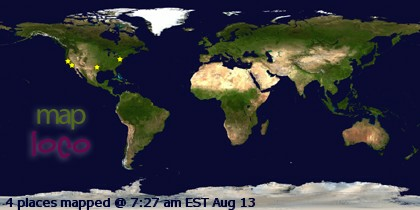 As usual, stay tuned for more updates! 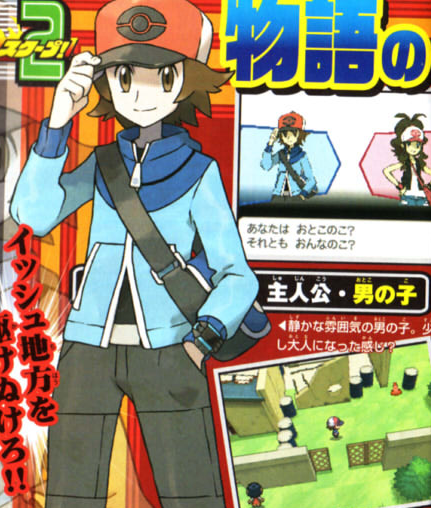 « 5TH GENERATION GAMES REVEALED!!! POKEMON BLACK AND WHITE VERSIONS!